Welcome to the Freeola internet customer support pages. 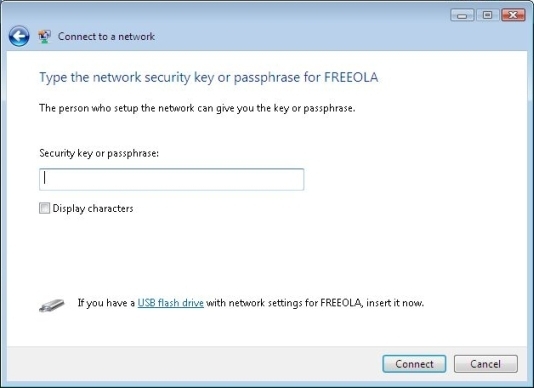 This guide is designed to help with setting up a wireless network with Freeola Broadband. For more internet help topics please visit our main Support Page. 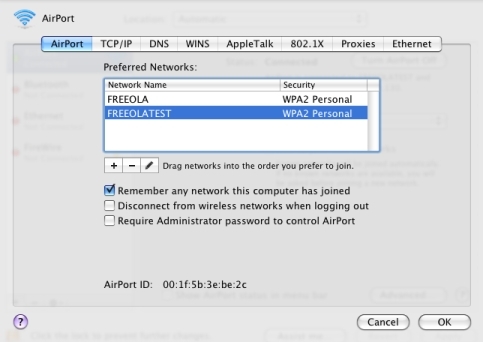 Freeola recommends using WPA 2 with AES over other security protocols such as WPA 1 and WEP. 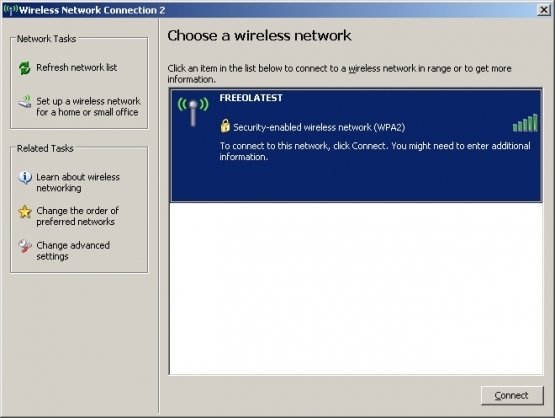 You should always use the latest protection available, however if your computers do not support WPA 2 then you may need to use a less secure method. Although setting up your router's wireless settings is out of the scope of this article, wireless set up on routers generally ask what type of security you wish to use, if it has WPA 2, use it, and then it will ask what type of encryption you wish to use, set this to AES if available. 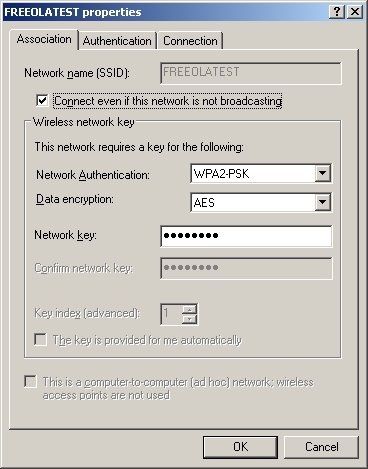 This is currently the most effective way of securing a wireless network. 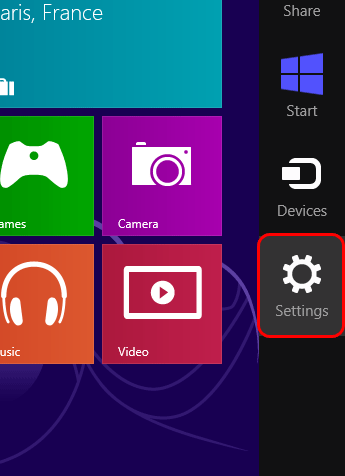 From the Start Screen, or Desktop, point to the upper-right corner of the screen﻿, and click Settings on the menu that is presented. On the page that loads, select the Wireless icon. If your device has wireless capabilities this should be displayed by a series of bars of increasing size. Select the network you wish to connect to and then click Connect. You will then be prompted for a Network Security Key, this will be either your WEP key or WPA password you defined within your wireless router's settings. If you did not configure your router please consult the person who did so. Click Next after entering the security code, when you will be asked about setting up sharing. You should chould whichever option you would like enabled. 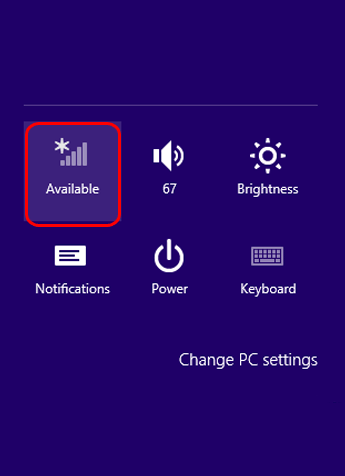 You should now be fully connected to your wireless network and able to start browsing. 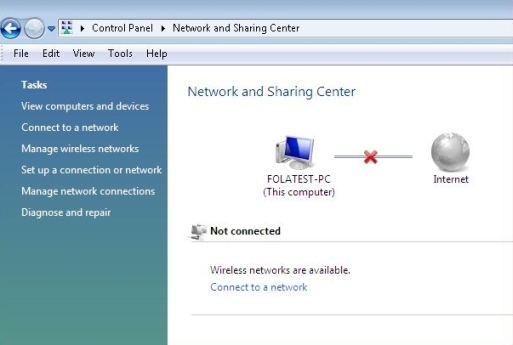 If you ever wish to check the status of your wireless connection, you can do so by following Steps 1 and 2 of this guide. 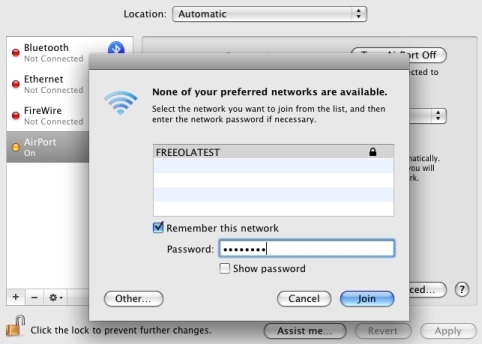 Go to Start, right click on Network and then click Properties to bring up the Network and Sharing Center. 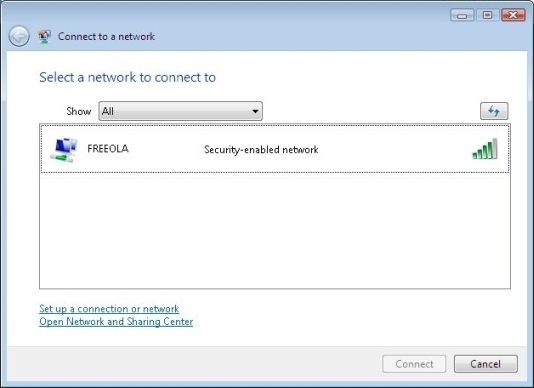 As soon as the Network and Sharing Center window has loaded, click Connect to a network on the left hand side. You will then be prompted for a Security key or passphrase, this will be either your WEP key or WPA password you defined within your wireless router's settings. If you did not configure your router please consult the person who did so. Click Connect again after entering the security code and you should then be told you have connected successfully. 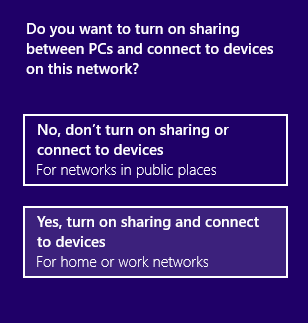 If you want to save the network and connect to it automatically make sure both options are ticked on the success screen. 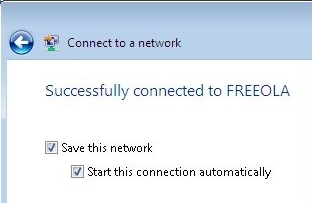 Go to Start, click Control Panel and then double-click Network Connections. 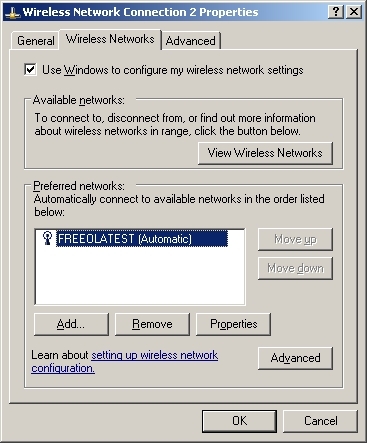 Right click on Wireless Network Connection and then select View Available Wireless Networks. Select the wireless network you wish to connect to and then click Connect. You should be prompted to enter your Security key/passphrase/network key, enter the key you chose and click OK. Ensure your Network Authentication is set to the appropriate setting along with Data encryption. Click OK to store these settings. If you are still experiencing issues give our Support Team a call on 01376 55 60 60. 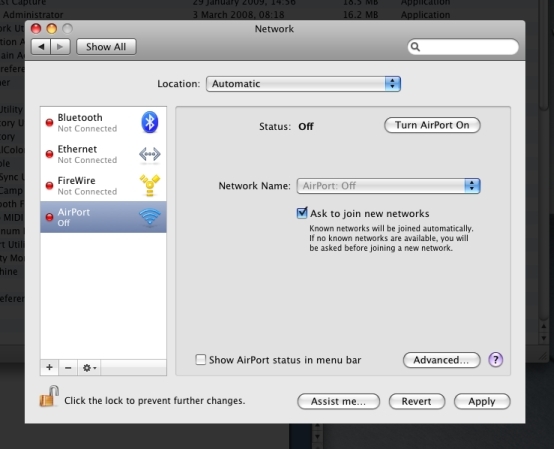 Go to the Apple Menu, click System Preferences and then click the Network icon. If necessary, click the lock icon in the lower left to make changes. Click Turn AirPort On if it is currently off. Click the drop down list labelled Network Name: and select a wireless network in range. You should then be prompted for a password if your network is protected, enter the password and click Join. To further configure your wireless settings, or specifically set the security type and change a password you can click Advanced... button on the bottom right of the window, then select the wireless network from the list of preferred networks, and then click the pencil icon to edit the connection. You can use the Security: drop down list to select the security type and use the password field to change the password your computer will try to use when connecting to the network. Click Add"to update.